Royal Golf Flag Series Trophies. Available in 3 sizes, 120mm, 140mm and 160mm high made from premium jade glass 15mm thick. 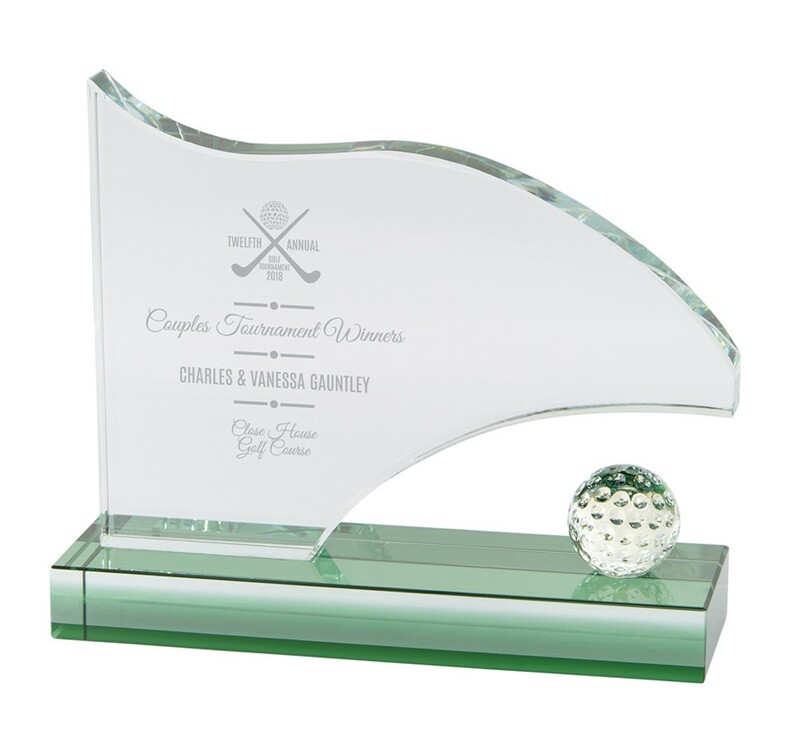 A superb crystal award for you to have your own custom logo and/or text engraved. All glass engraving has an additional charge as shown.